Tamsin Thomson Art is a small independent business ran from home by Artist and Owner Tamsin Thomson. Tamsin creates her fabulous original paintings using acrylic paint in her signature style. Tamsin has expanded her work into a beautiful range of prints, homewares and gifts. She has helped to design every item and each one is Made in the UK to the highest standard. Tamsin is a self taught Artist and is based on her family farm in the Scottish Borders. After growing up on her family farm, she left the Scottish Borders for Glasgow where she studied Archaeology at Glasgow University, graduating in 2009. A move to Aberdeen in 2012 to allow for her husband’s career change gave her time to explore her artistic talents, which is where she developed her signature style. 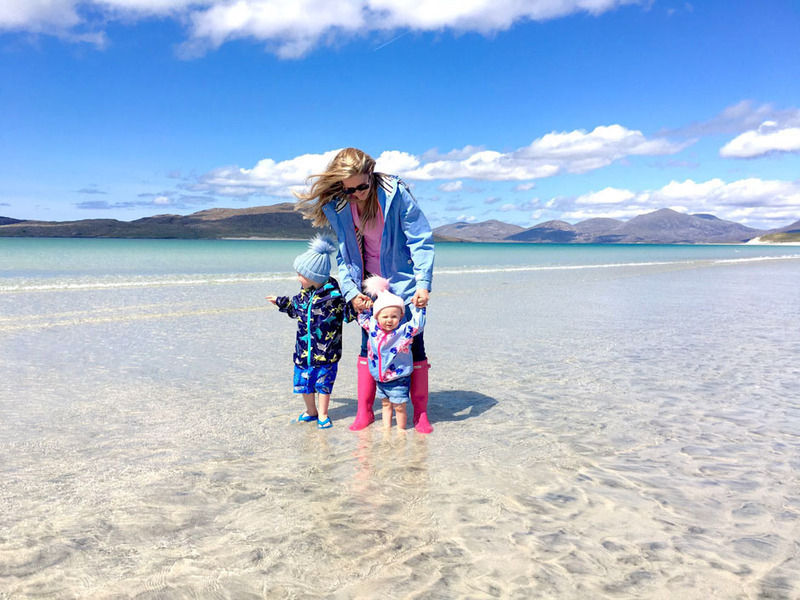 She moved back home to Ferneycastle Farm in summer 2014 so her little ones, Clark 4 and Ellena 2 could benefit from growing up with the freedom of the same beautiful countryside she did. In March 2017 when her business was blooming, Tamsin was diagnosed with Breast Cancer at the age of 29. After having to take the year off for treatment, Tamsin is now back working and very excited as to what the future holds in re-establishing her business. Plans are in motion to open a Gallery and Studio on the farm. Her inspiration for painting comes from the glorious countryside she was born and brought up in, and all weird and wonderful creatures in it. Original paintings are available to browse in the Gallery ‘For Sale’ section. Please just get in touch for prices and more information.. Commissions are welcome, just send over a couple of clear photographs. Please email hello@tamsinthomson.co.uk to discuss, or see the contact page. Post using Royal Mail tracked or Parcelforce (depending on the size and weight of your order. Orders over 2kg have to go Parcelforce). Orders will be posted within 5 working days. Reston Provisions and Post Office, Reston, Scottish Borders. If you have any other questions, please don’t hesitate to contact me. © All images are copyright of Tamsin Thomson Art, 2019.